The tool provides the flexibility to migrate your user mailboxes directly from one Exchange domain to another without using MS Outlook profile. The tool allows smooth cross-domain migration to-and-from any Exchange version – including Exchange 2019, 2016, 2013, 2010, 2007, 2003 and 2000. Express Edition tool allows to migrate your mailboxes from one Office 365 environment to another with total accuracy and integrity. The Express Edition provides the convenience to multiple mailboxes at once (including user mailboxes and archive mailbox) using the CSV file. Export your mailboxes from any on-premise Exchange server (2000, 2003, 2007, 2010, 2013, 2016, 2019) to Office 365 server with this Express Edition. No matter how big and bulky mailboxes you have for the migration job - It allows to migrate them effortlessly without compromising the mailbox integrity. This Express Edition makes it possible to easily migrate your cloud mailboxes from Office 365 server to on-premises Exchange server (2000, 2003, 2007, 2010, 2013, 2016, 2019). You can migrate single/archive/multiple mailboxes in cross domain environment. It’s completely up to you to export all or selective folders for the migration. The tool has advanced filters that allows you to segregate important data based on date range, item type and other filters. Also, you can include/exclude deleted folders, empty folders from the migration list. Migrate unlimited user mailboxes from any source to any destination using ‘Import from CSV’ option. This function lets you to add thousands of user mailboxes at once and map them automatically for error-free migration. Also, you can migrate shared mailboxes using this tool. Once the migration process is complete, the tool allows to save the migration report summary to a CSV file. This report contains summary of the exported mailboxes along with the folder information, status, item count and other details. Our tool supports migration of data from/to archive mailboxes, user groups and public folders. Users can map the source archive mailboxes/public folders to destination mailboxes or archive mailboxes/public folders as per the need. The tool lets you map the source mailboxes with destination mailboxes manually or using a CSV file. And you have the option to search for mailboxes at the time of mapping. The tool migrates hosted Exchange data to on-premises Exchange, hosted Exchange & Office 365 and vice versa. The tool accesses the hosted Exchange data with the proxy server name provided by the user. With this tool, migration is complete in all aspects as it migrates mailbox items with their metadata. Even Read/Unread status of email items are migrated. Migration is possible even if the UPN ID and email ID of the mailboxes are different. 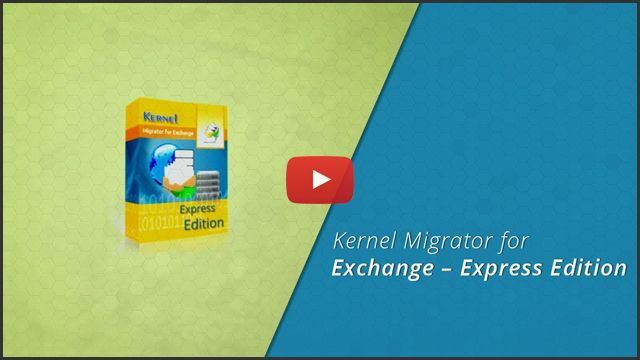 Download and use the free trial version of Kernel Migrator for Exchange – Express Edition to evaluate the tool’s real-time performance without investing a single penny. It lets you to migrate 10 items from each folder of the source mailbox to selected destination server completely for free. How to migrate from Exchange to Exchange using this software? Install and open the tool on your system and select Add Source. Enter the credentials for Exchange Server with server name and select whether to migrate single or multiple mailboxes. Click Add Destination to add Exchange Server as the destination by providing the required credentials. Once both source and destination are added, select the required destination mailbox against each source mailbox and click Set Filter and Migrate. Select the type of mailbox that you want to migrate and click Migrate. Apply specific filters to the mailboxes if required, and then click Start Migration. The process will take some time depending on the size of the mailboxes. How long does the migration process consume? The migration process is completely dependent upon the size of the mailbox added for the migration. 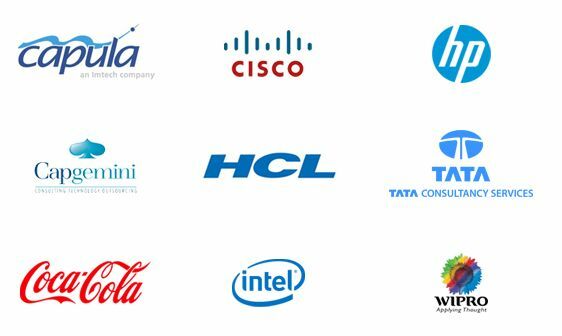 Additionally, it also depends upon the other factors like network connectivity speed, performances of computers engaged, source and target server throttling etc. Can I migrate from Exchange 2003 to Exchange 2013? Yes, you can. The tool allows direct migration of mailboxes between two cross-domain Exchange environments (such as from Exchange 2003 to Exchange 2013, Exchange 2016 and Exchange 2019). How does the software migrate Archive mailboxes and Public folder? Kernel Migrator for Exchange – Express Edition treats archive mailboxes and public folder exactly like a user mailbox. The user can select them at the source as well as destination environments. Does the tool supports migration of Office 365 groups? Yes, of course. You can migrate Office 365 groups easily with its User ID. Just login with these details and the data in the Office 365 group will be displayed. Now, you can perform migration to the desired destination. Can I still use the source mailboxes after the migration? Yes, you can. The software does not modify or harm the integrity of source mailboxes. It simply scans and then migrates them to the provided destination server. Can I migrate from Office 365 to any Exchange server? Yes, you can. This Express Edition connects to your Office 365 server using EWS, which allows you to migrate mailboxes from Office 365 server to all versions of Exchange server such as Exchange 2007, Exchange 2010, 2013, 2016 and 2019. Can I migrate public folders using Express Edition? No, you cannot. Express Edition lets you to migrate archive mailbox and user mailboxes from source to destination server in cross-forest environment. If you want to perform public folder migration, then you can try Kernel Migrator for Exchange tool. Appropriate tool for smaller sized Exchange databases. It is the fastest and most direct tool for Exchange Migration. I used the CSV file to map between two Exchange servers and conducted the swift migration. "It is really a complete all-in-one software. Every time I try it get desired results." NOTE: To migrate multiple Office 365 mailboxes, the user needs to login using a Global Administrator User credentials, having full access to all mailboxes.